While this blog is about Star Wars: The Old Republic, and SWTOR is the game I spend by the far the most time on these days, I have on occasion tried other MMOs. Sometimes I've even talked about the experience on here, but not always. Either way, I thought it would be interesting to write a little summary of all the MMOs I've tried over the years. It's not that many in the grand scheme of things, because I'm ridiculously picky when it comes to even trying a new game, but there's almost always a funny story there. Alright, so I won't say that much about this one other than that it's where it all began in 2006. My first MMO and I loved it. I played nothing else for several years. I learned what raiding was and enjoyed it. I met people and fell in love. I moved to a different country. Playing WoW helped me find a job. It changed my life. However, by 2012, I didn't like it all that much anymore and made the move to SWTOR. I went back once during Mists of Pandaria because my pet tank gifted me a couple of months of play time (I think to spite me after we'd had an argument about pandas). In 2015, I discovered private servers and the Vanilla WoW retro experience, something I engaged with on and off again. I'm looking forward to WoW Classic now. I also have a blog about it, where I wrote about my adventures regularly from 2009 to 2011 and where I also documented the above-mentioned MoP stint and my private server adventures. In 2009, I still wasn't really interested in playing anything other than WoW, but my then-boyfriend gifted me a copy of Champions Online for some reason, so we tried that together. I created a character called Val(k)yrie and took a screenshot of her. I also created another character, a little green reptile person, of whom I unfortunately never took a screenshot. The character creator seemed pretty amazing. Unfortunately, the game was utterly unplayable for me. In theory, my old PC met the minimum requirements, but even with the graphics turned down, the game was nothing but a slideshow and my input with keyboard and mouse only caused erratic responses, if any at all. I struggled to even move around and only made it through the starter area by basically having my partner complete all the quests for me while I clumsily tagged along. When we moved on to the next area, I fell off the platform we arrived on and somehow managed to wedge myself into a corner I couldn't get out of, not with how unreliable the movement controls were for me anyway. I sighed and logged off, never to be seen again. It's a testament to the strength of the character creator that I actually found myself missing those barely-played characters in a burst of nostalgia the other day, to the point that I contacted Cryptic's customer service to ask if my account could still be recovered somehow. (When I downloaded the game and logged in, with the same credentials I used back in the day, nothing was there.) The answer seemed to be "maybe", but only if I created an entirely new Arc account because for some reason they couldn't link my old account to my current one. That was more effort than I was willing to go to in the end. Fun fact: Warhammer Online was what got me into World of Warcraft. How does that work? Well, my boyfriend at the time was into tabletop gaming and introduced me to the world of Warhammer and Warhammer 40k. Somehow, while reading up on these online, I came across the site for a game called Warhammer Online, which sounded amazing! Unfortunately it was still several years away from release. But there was this similar game called World of Warcraft... the rest is history. By the time WAR actually came out, I was way too engrossed in WoW to care about anything else. Though I remember a friend of mine playing it and getting all glassy-eyed when he told me about his dwarf standing shoulder to shoulder with other dwarves to hold off an orc attack, saying it was the most fun he'd ever had in PvP. Anyway, I did eventually get around to trying the game, but not until early 2011, by which point it offered a free trial. It wasn't easy to find though, as EA seemed to already have more or less abandoned maintaining the website at the time. 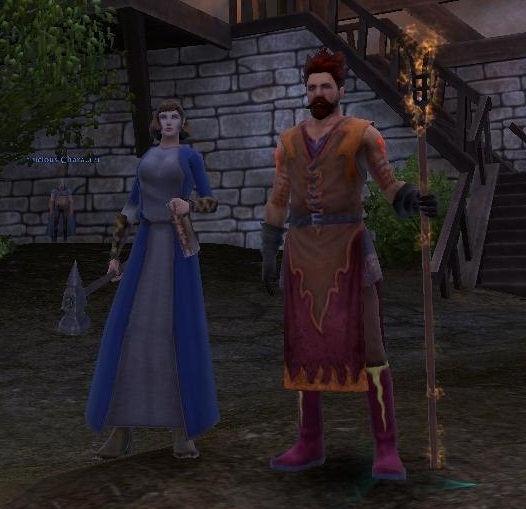 Again, my then-boyfriend and I went in as a team, me as a warrior priest and him as a bright wizard. The starter area seemed okay, though not particularly exciting. I do remember being impressed by the first public event we encountered, as I hadn't seen anything like it before, though I also remember the scoreboard it had being super confusing to me. However, by the time we got to the next area, the population thinned out drastically, and the next public event we encountered proved too much for just the two of us. (These things didn't scale at the time.) We made a note to come back later, but then never did. RIP WAR. No need to go into any detail on this one, that's what this whole blog is about! Initially it looked like Neverwinter was going to be just another experiment with friends, as everyone including myself lost interest in it within a month, but then we came back to try again and since then I've never entirely gone off it. I have a blog about this one as well, though I only update it sporadically, just like I'm going through phases of playing the game a lot or not at all. I think it complements SWTOR very well on my gaming menu in that it's completely different - not just because of fantasy vs. sci-fi but also in that its appeal lies very much in the moment-to-moment gameplay/combat, while the story is rather weak, which is pretty much the opposite of how SWTOR works. It's also the game that taught me what it's like to play something casually but still be attached to it. Before that I never truly understood how someone could like an MMO but not want to go all in with it and play it all the time. Neverwinter showed me how that can work. I was pulled into STO by my pet tank and he more or less carried me all the way to the level cap. I wrote a post about it at the time. In hindsight it's a bit surprising to me just how positive that post ended up sounding, because in the end I left the game with a somewhat sour feeling. I seem to remember that it had just had an update, with me once again expecting my pet tank to help me through the new content, but he got distracted by something else, so I eventually just logged off with a sigh... and never came back. While I liked the setting, I just couldn't abide the combat, whether on the ground or in space. I'd like to say that to me, gameplay doesn't matter as much in an MMO as things like setting, but STO proved me wrong in so far as it showed me that no matter how much I like the setting, if I can't log in and simply have some fun playing, even while on my own, it's just not going to last. The things I actually remember liking the most were the little mini games involved in scanning space anomalies and mining dilithium, flying around searching for good duty officer missions and chasing epohhs on New Romulus, none of which had anything to do with the core game. My relationship with ESO is weird. I have no connection to the Elder Scrolls franchise and had no interest in playing this at first, but a friend gifted me a beta key so I thought I'd give it a try for a weekend so his gift wouldn't feel wasted. And I liked it quite a lot! This was during the period when everyone was bashing it as buggy, boring and uninspired, mind you. Even though I knew that I wasn't going to play it at launch, I vowed to myself that I was going to keep an eye on it. Some time after it dropped the mandatory subscription and reduced its box price, I bought a copy from Amazon. I didn't actually have enough disk space to install it at the time, but again I told myself that I was going to get around to it eventually. Finally, after another one and a half years of the game sitting shrink-wrapped next to my desk, I had a chance to install it. By now, people had also changed their minds about it and were praising it as so much better than at launch! I logged in, amused to find myself gifted with a free monkey pet for having participated in the beta more than three years ago, played through the tutorial... and then logged off again, never to return. I'm still telling myself that I'll get back to it eventually, but I just haven't felt any itch to return to it at all since I actually played the live version. Maybe all that waiting caused me to subconsciously hype it up in my head to expect more from it than it could deliver and that's why I ended up disappointed when I actually logged in again? Sometimes I don't quite understand myself. I wrote about trying out LOTRO earlier this year. We were having a reasonably good time with it, even though it was really showing its age by overwhelming new players with lots of confusing systems. I ended that post by noting that we were going to try the first dungeon next. That's another funny story actually. Everyone kept telling us not to use the group finder because "nobody uses it". I took this with a grain of salt in the same way that "nobody" uses the group finder to get random ops groups in SWTOR - the experienced players mostly form their groups in chat, but there are people queueing through the interface too. These groups are just rarer and more prone to failure. I really wanted to see whether LOTRO worked the same way, plus I was honestly a bit shy about putting a group together in chat since I knew so little about the different classes and what sort of setup would be desirable. The problem turned out to be this: We couldn't actually figure out how to use the group finder interface. How silly is that? Our one attempt to use it just ended up teleporting us inside the instance with only the two of us. That didn't go so well. I actually went to reddit afterwards to ask for advice and it turned out that we had used the wrong one of the many tabs of LOTRO's group finder tool. I planned to give it another try later, but then Secret World Legends came out and my pet tank was all over that instead, so LOTRO fell by the wayside. I still want to conquer the Great Barrow some day. I wrote a first impressions post about that one as well, but unlike with LOTRO we've managed to stay surprisingly loyal to it. We don't play every weekend, but we have kept coming back to it and are nearly done with Tokyo now. I have a post in my drafts folder that details my "second impressions" of the game, which I will put up whenever we manage to finish the current storyline. I think the takeaway from this history of my MMO experiences is that it takes a strong IP as well as social hooks for me to want to try something new, and both friends and fun gameplay to make me want to hang around. I guess with people like me it's not surprising that new games are having a hard time establishing themselves in a crowded market. That was a really interesting read. It's fascinating to see the thought processes of someone at the opposite end of the MMO spectrum Your approach is very similar to my wife's - she plays one MMO a time and goes all in on it whereas the last time I counted the MMOs I've played it came to around 150. Quite a few of those are MMOs I've only taken a quick look at but, apart from a handful that I loathed immediately, even the ones I'd say I barely touched I would have spent maybe 10-12 hours playing over a week or two. 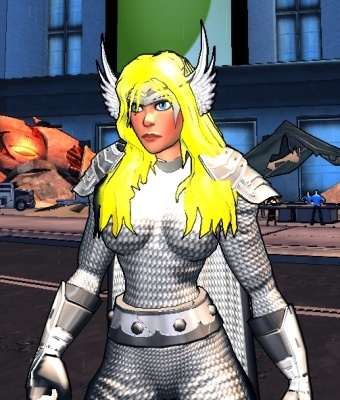 I played Champions Online for a few sessions, for example, and STO for longer than that, but I'd never think of either as an MMO I really "played". I would ideally like to at least take a look at every MMO that exists. It's mostly not wanting to go through the tedium of making accounts for the more obscure ones that stops me (there was one MMO that I refused to register for because of the EULA, which had small print saying that everything you ever wrote (like a blog post) or created (like drawings, for example) about the MMO would belong to the game company not to you - always read the EULA! Anyway, now I feel motivated to try a few new ones - there are still plenty I've never tried. Well, with games like Champions or WAR I wouldn't say that I "played" them in the sense that I have a well-informed opinion about them. But they sure managed to leave an impression, even after only a few hours, which I think is enough to include them in a post like this. Pretty cool to read about your whole MMO history! As for LOTRO... it's true that *actually* nobody uses the group finder. Everyone uses the channels. But if you happen to play on Laurelin, give me a shout on Twitter or so and Conrad & I will run it with you. It's a cool dungeon that I have fun memories of, although I preferred it before it was revamped, when it was still one big instance rather than three.